Rapid resource discovery in P2P networks is a challenging problem because users search for different resources at different times, and, nodes and their resources can vary dynamically as nodes join and leave the network. Traditional resource discovery techniques such as flooding generate enormous amounts of traffic, while improved P2P resource discovery mechanisms such as distributed hash tables(DHT) introduce additional overhead for maintaining content hashes on different nodes. 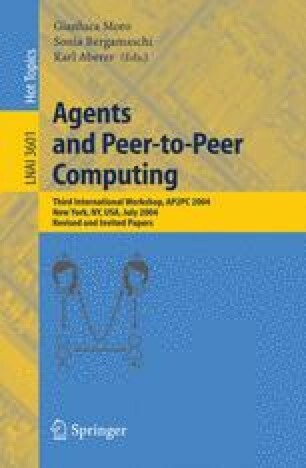 In contrast, self-adaptive systems such as ant algorithms provide a suitable paradigm for controlled dissemination of P2P query messages. In this paper, we describe an evolutionary ant algorithm for rapidly discovering resources in a P2P network.